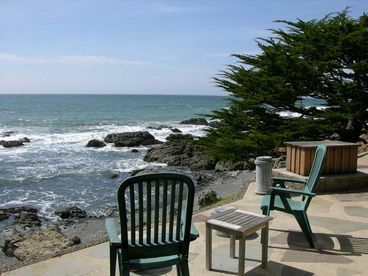 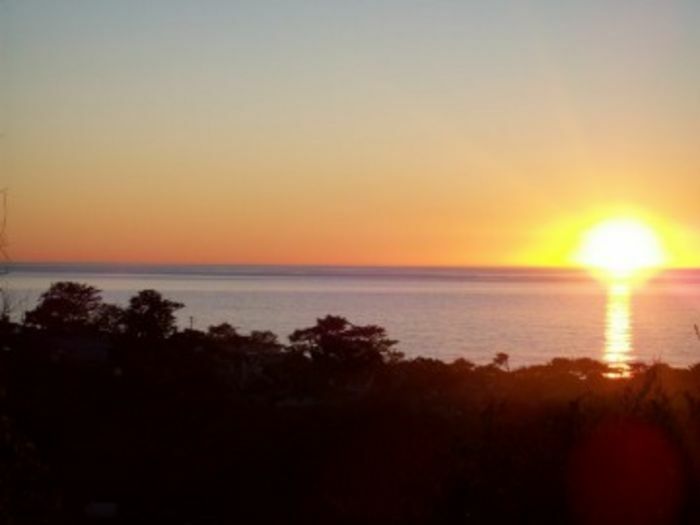 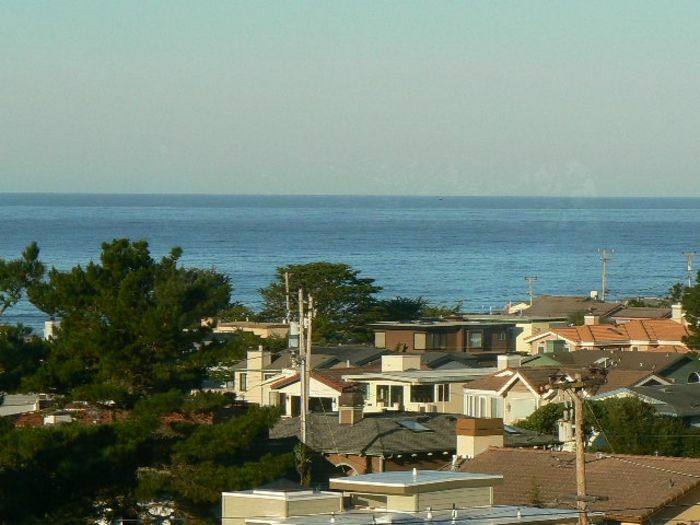 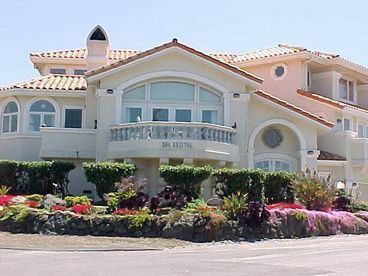 Search 7 Cambria rental beach homes and oceanfront condos. 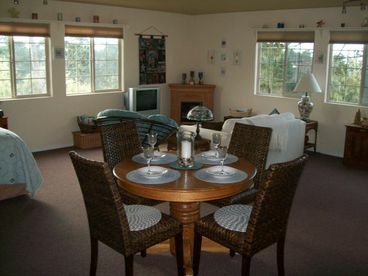 Charming and spacious 1100 sq. 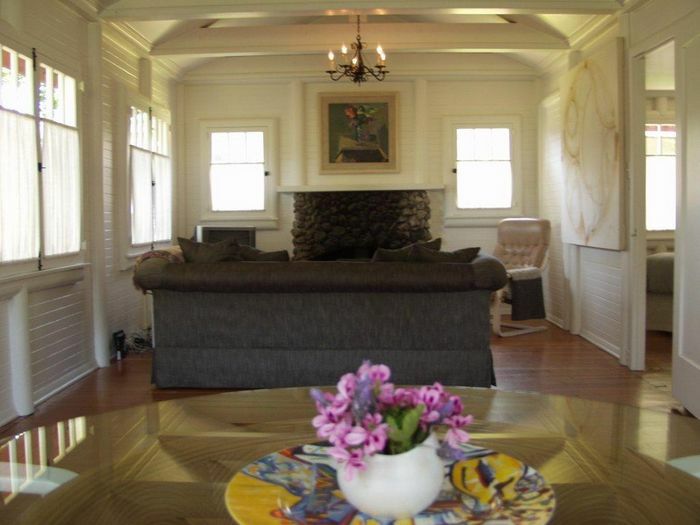 ft., Cape Cod style 2 story guest cottage. 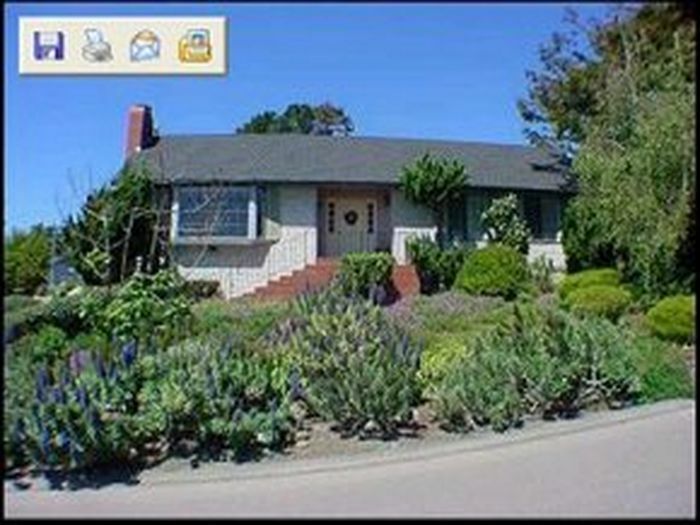 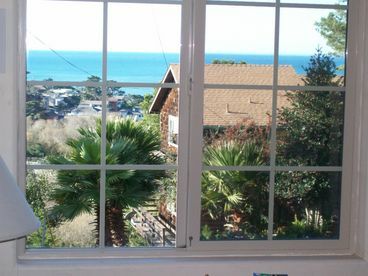 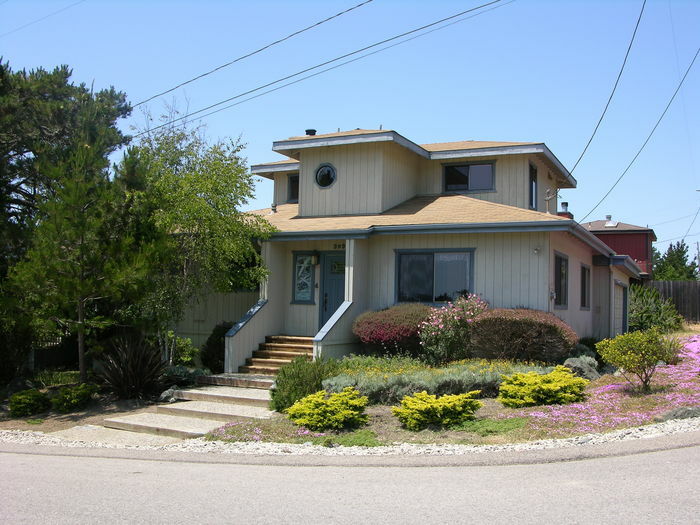 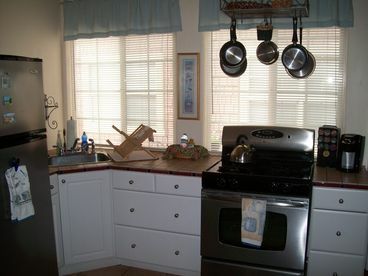 Open living area, full kitchen, bedroom, 3/4 bath, and loft, with nice ocean views from bedroom, living area, and deck. 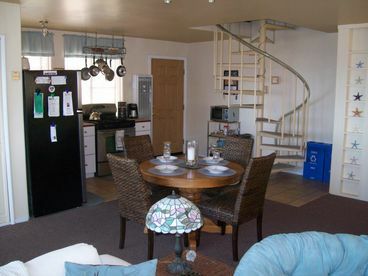 Quaint beachy/casual decor, queen bed downstairs, spiral staircase to upstairs loft and bedroom. 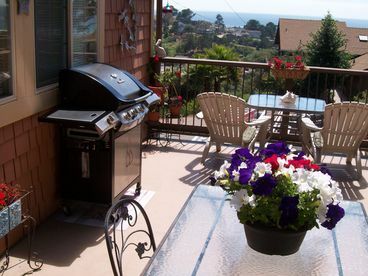 Cottage is seperate from main home by enclosed deck area and has a private entrance walkway w/o stairs. 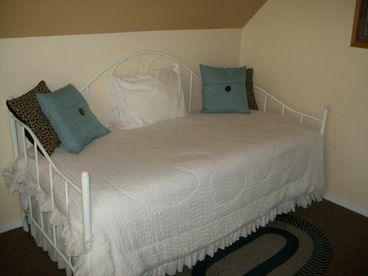 Small pet fee (dog ok, please inquire). 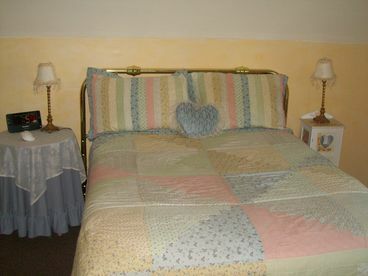 Rate is for 2 adults, $15 extra per person, plus tax and no added fees. 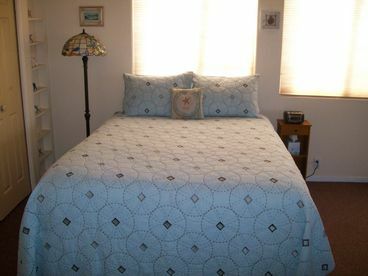 Perfect for a week or weekend getaway!